FashionValet has come a very long way from being a small fashion website on the corner of Malaysia’s Internet space, and has since expanded its shipping to Singaporean fashion enthusiasts looking for the next great deal. 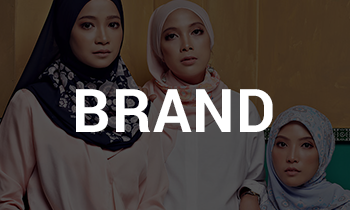 Established in February 2010 as Malaysia’s first online fashion store, FashionValet has since pooled together a formidable lineup of the country’s beat home-grown brands and designers that offer their wares on the FashionValet sale website. Ready-to-wear garments, accessories, and handbags for women of just about every age and style preference are included in the list of deal offerings by FashionValet. FashionValet sale items are categorized into groups such as apparel, accessories, beauty, shoes, bags, and even bridal wear. If you have a FashionValet discount code, you can buy just about any clothing item a woman needs in Fashionvalet com—from pants, dresses, blouses, and intimates, to heels, purses, sneakers, and backpacks, and even makeup and perfumes. One of the more premiere items on the website is the FashionValet dUCk which offers scarves, stationeries, and home and living accessories. dUCk FashionValet makes sure you get only beautifully designed scarves with a lot of colors to choose from. 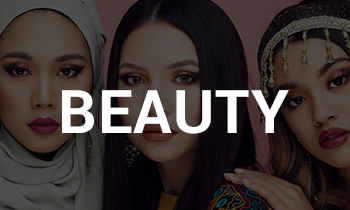 But don’t be mistaken in thinking that Malaysia’s foremost and premiere online fashion shopping deal destination is exclusively for women, as various fashion items for men and children are also for sale on this website using a FashionValet promo code. The success of www.FashionValet.com has empowered the company to build three physical stores: two in Kuala Lumpur, Malaysia, and one along Orchard Road in Singapore, considered as one of Asia’s most famous shopping streets. In addition, the hundreds of items offered for sale on the FashionValet website, which is powered by the best clothing brands and makers Malaysia has to offer, can also be availed at a special FashionValet discount, which will be discussed in greater detail below. How to buy FashionValet sale items in Singapore? 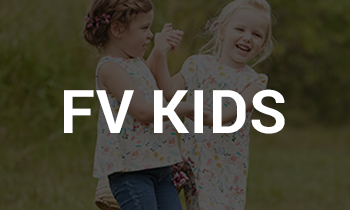 Since FashionValet is still primarily an online store, the Singaporean shopper is encouraged to check out the company’s website for the latest items for sale. But before shopping, that shopper must create an account on the FashionValet website, so that shopping becomes way easier. After registering the user information on the website, all that is left to do is to browse for the latest items for sale and good discount offerings and you can buy with a FashionValet coupon code, whether through the search bar or by browsing via category or brand name. The shopper can then fill out her online shopping cart with clothes and accessories, including discount items that are offered on FashionValet discount promotions and special occasions. Checking out is easily done by clicking the “proceed to checkout” button, with an optional additional step of typing in a discount code that you like to use. Payment is also easy, through various options such as Visa, MasterCard, direct online transfer through various banks’ Internet services, cash deposits, PayPal, or cash on delivery. Just keep in mind that for Singaporean shoppers, there is a minimal shipping fee involved. For FashionValet sale orders less than 300 Malaysian ringgit, which converts to just about under 100 Singapore dollars, the shipping fee is 15 Malaysian ringgit, or less than 5 Singapore dollars. For orders above 300 Malaysian ringgit, regardless of how many FashionValet discount items ordered, shipping is free in Singapore. That’s a great deal, If you ask me. For the Singaporean shopper who still wants to shop the old fashioned way, she can always go to Orchard Road to sample FashionValet sale items in the flesh. After all, a little exercise doesn’t hurt, especially when there is great deal of fashion items to discover. 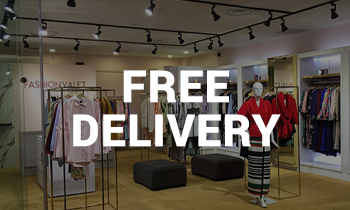 As with any other great fashion store, FashionValet also offers discount opportunities for both first-time shoppers and loyal customers. 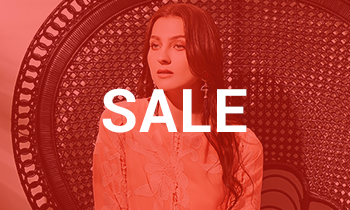 For starters, the website has a prominent section named “Sale,” where all FashionValet discount items are listed. We’re not talking about a dozen discount items here; the last time we checked, there are hundreds upon hundreds of sale items. In fact, the greatest deal we saw on the website involved a beautiful dress at a more than 50% discount rate, and that’s on a random day. If that’s not an enticing FashionValet discount offer, I don’t know what else is. Except that the FashionValet sale department keeps on coming up with new discount offerings every now and then. One such example of a notable FashionValet discount promo is its 24-hour offer of a 30% discount on almost every item on the website. Of course, the FashionValet discount offer has its caveats, with about 18 brands excluded from the sale promo on the most recent 24-hour promotion period. But with hundreds of brands on the website, the exceptions on this FashionValet sale promo are hardly noticeable. Another great FashionValet discount offer has something to do with the website being a Malaysian innovation. In line with Malaysia’s Hari Raya celebrations to end the Muslim month of sacrifice known as Ramadan, which is also observed by the Muslim community in Singapore, there is an ongoing seasonal FashionValet sale that offers a 30% discount on various brands that participate on the website’s Raya Styles collection. While the website lists the full price on the items, 30% is taken off of the final price in this great seasonal deal. Of course, shoppers are encouraged to watch out for various discount items for sale during special occasions. In addition, there is a year-round rebate system on all FashionValet sale items. Every 100 Malaysian ringgit (about 32 Singapore dollars) spent on the website translates to 100 credit points, which convert to 1 Malaysian ringgit (about 32 Singapore cents) that can be spent on the next sale purchase, or even as as add-on discount. Do you want to hear about an even better deal for your FashionValet sale hunting? Check ShopBack for the latest FashionValet discount offerings. ShopBack has discount codes that you can use to pursue that next great purchase. Make sure to check with ShopBack when you consider buying the hottest fashion items for sale. In addition, aside from this website, get the latest information and news from the hottest online fashion shopping site FashionValet by gong to the company’s social media accounts on Facebook and Instagram.